A spiral trail leading up to the Lion's Head, a dramatic excrescence of the famous Table Mountain. Superb sea and city views - and visibility, below the usual cloudline. 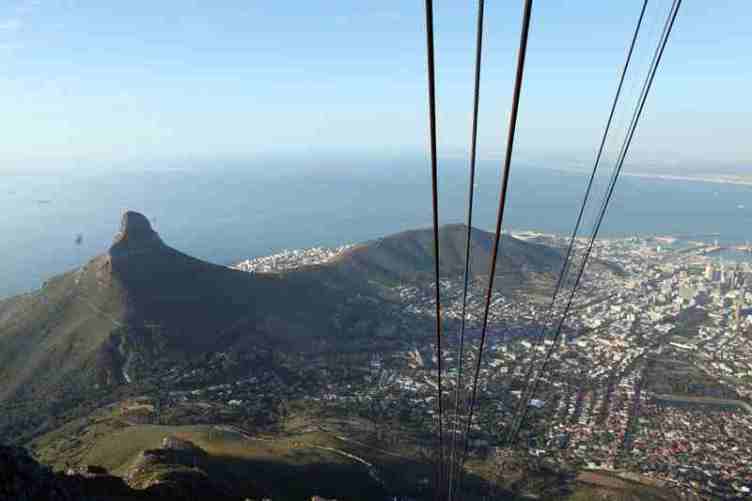 Table Mountain is fascinating and multi-faceted, much more than merely one of the world's best known landmarks: geological oddity, home of fabulous flora and fauna, platform of stupendous views. But it is often in cloud. 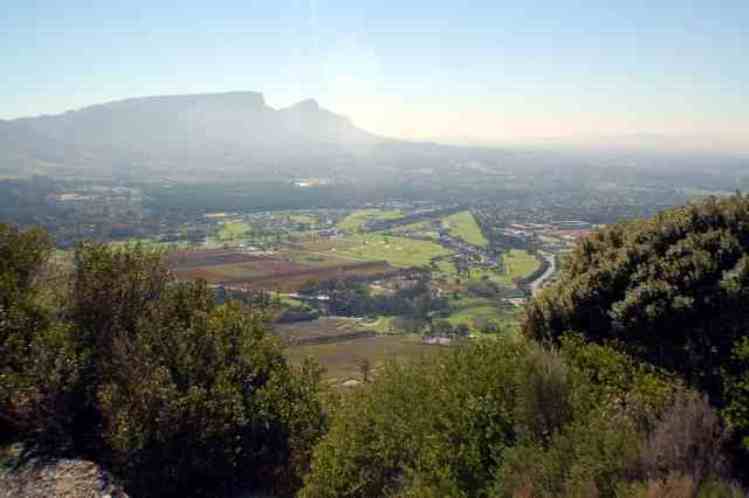 The Lion's Head is a dramatic excrescence from the Table Mountain massif, but is lower, and below the usual cloud line; an excellent alternative to the mountain itself. A spiral trail winds round the hill, with a scramble to the top of the head at the end. An inspiring walk with superb sea, city and mountain views. One of the joys of Lions Head is that, when the famous Cape South Easterly is blowing, Lions Head is very seldom impacted. I particularly like the way that the walk gathers pace from a gentle stroll at the bottom to a bit of a scramble (with two ladder sections) at the top. 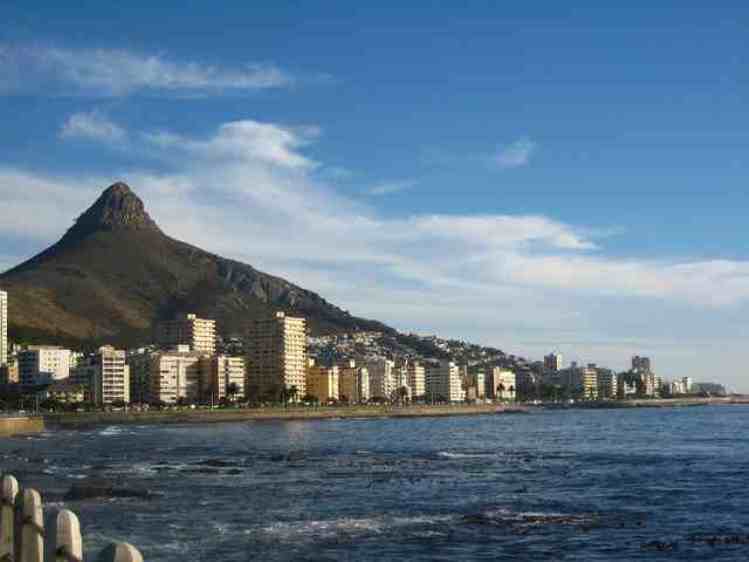 The views, as one circumnavigates the conical shape of the mountain, include the best views from anywhere of the Twelve Apostles, dramatic seascapes beyond Camps Bay and Clifton (looking straight into the setting sun), dramatic views of the City bowl and even a good view of the World Cup football stadium. 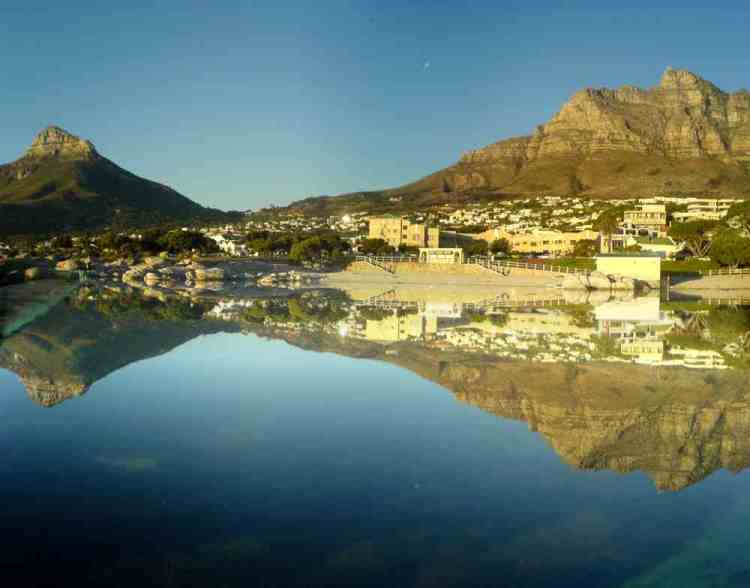 See our Table Mountain page for detailed practical information.